Laurie finds great pleasure in diversity and culture. Before moving to Arizona, Laurie lived in New Orleans, Honolulu, Santa Barbara and San Francisco. Laurie came to Scottsdale in 2001 to start a family and enjoy desert living. With a background in systems engineering and Silicon Valley events, Laurie branched out to plan weddings and non profit events in the Scottsdale and Phoenix Metro area. Four children and scores of gorgeous weddings later, Laurie founded Sip and Twirl in Scottsdale in 2011. 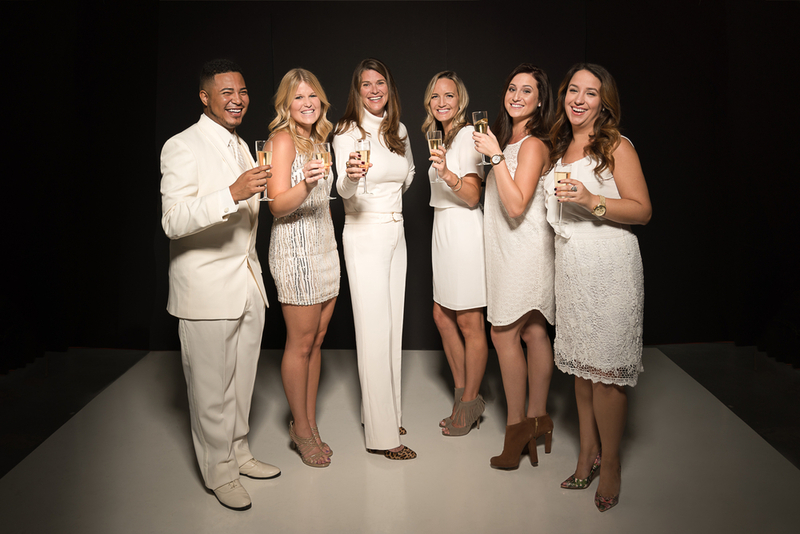 Laurie's design talent, derived from her appreciation of art and culture, coupled with her logistical acuity have lead Sip and Twirl to be the hottest new team in the Arizona and Hawaii wedding industries. Kate is a California girl, born and raised. She has lived in Los Angeles and San Diego, but a piece of her heart will always be in San Francisco. After developing her event planning talents at Stanford University, Kate made the move to Arizona where she met the love of her life. Kate has a refined sense of style, a deep appreciation for technology and always stays cool under pressure. She works tirelessly to support the needs of her clients throughout the planning process. After growing up in Houston, Texas, Emily moved to Arizona to study Biology at Arizona State University. After working for the University and interning with Sip and Twirl, Emily decided to pursue a career in event planning. She is sharp, witty and no nonsense. Emily's left brain instincts, quick thinking, outstanding taste (and Last Chance shopping prowess) make her an asset to the Sip and Twirl family. Stefanie is an Arizona native and one cool lady. She comes to Sip and Twirl with a degree in Art History and venue-side coordination experience. Stef developed her client skills working at a top Downtown Phoenix Art Gallery and Event venue. She offers vendor experience and design artistry which she applies to her wedding coordination and design work . Stefanie has an an old soul and a soothing calm about her. She enthusiastically supports Sip and Twirl couples through the design process. Just a few more fun pics. Enjoy!